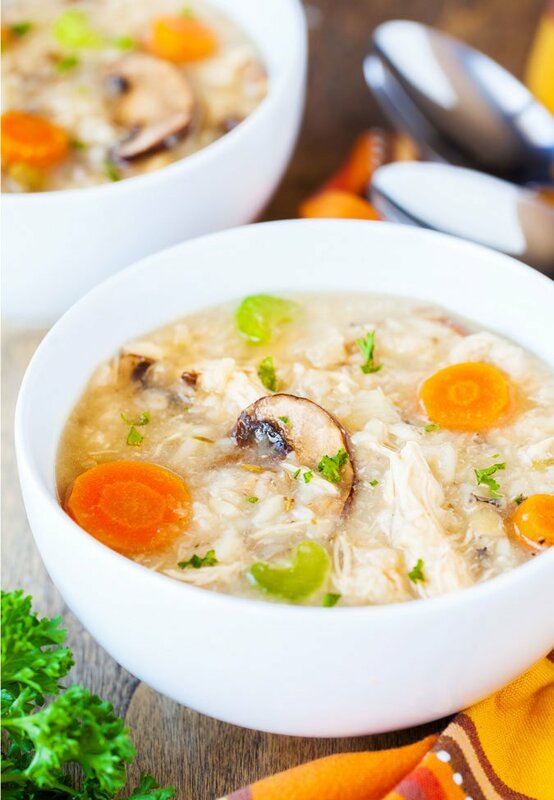 Quick and simple to throw together, this Slow Cooker Chicken and Rice Soup is hearty, tasty, and easily customizable to suit any palate. While it’s still warm in Southern California, festive store fronts and autumn themed merchandise catalogs have me yearning for cooler weather. It’s not even October and I’m already dreaming about cozy sweaters, warm spice scented candles, and comforting soups. 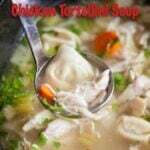 One of my all-time favorite soups to make this time of year is slow cooker chicken and rice soup. I love it because it’s pretty much a set-it-and-forget-it kind of soup. I’m able to dump everything in before heading out in the morning and dinner is waiting for me when I get home. Aren’t those the best kinds of dinners? Who wants to come home and prep, cook, and clean after a long day of work? 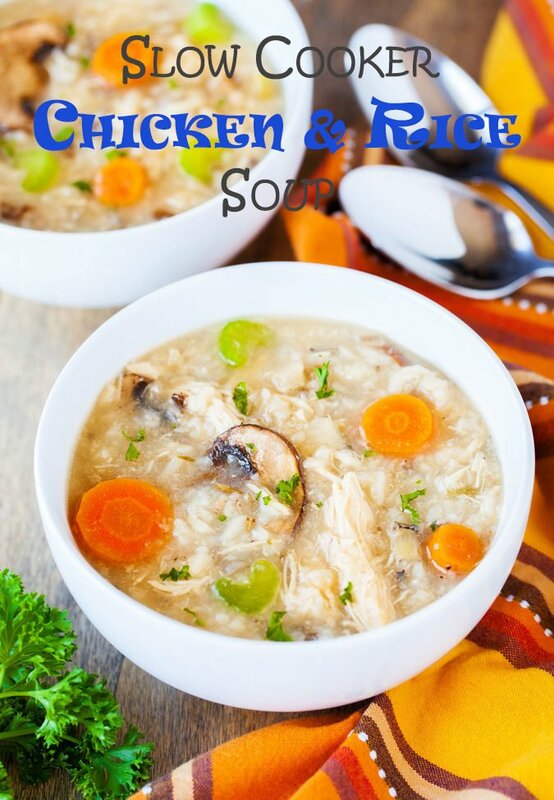 This slow cooker chicken and rice soup is full of flavor with only a few simple ingredients that you probably already have in your kitchen. 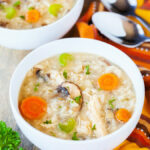 Staples like chicken breast, chicken broth (make your own or use store-bought), rice (any kind! ), some vegetables and spices are all you need. While the cooking is happening, the starch from the rice thickens the soup and produces a savory and comforting stew-like soup. To me, that’s part of the soup’s charm and only adds to its appeal. But, if you’re anything like my husband and like your soup thinner with rice grains intact, skip adding the raw rice like the recipe says below, and stir in cooked rice right before serving instead. 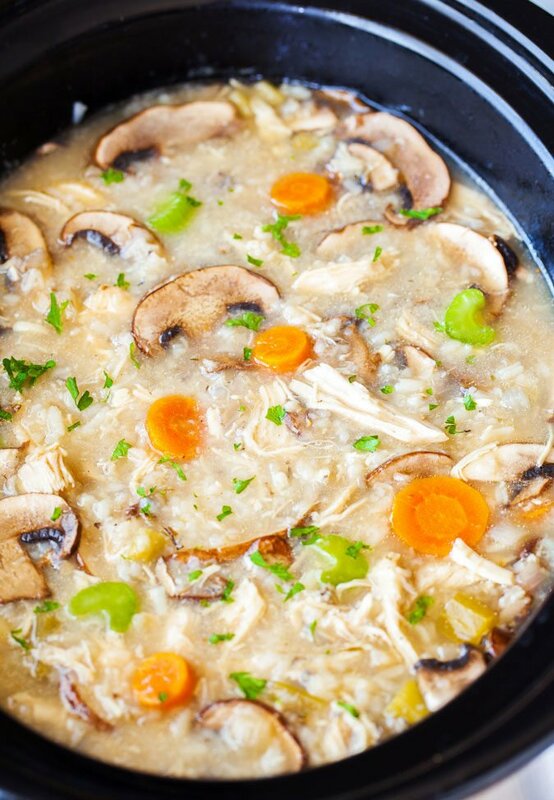 Just make sure to keep in mind that the longer the rice sits in the broth, the thicker the soup will become. 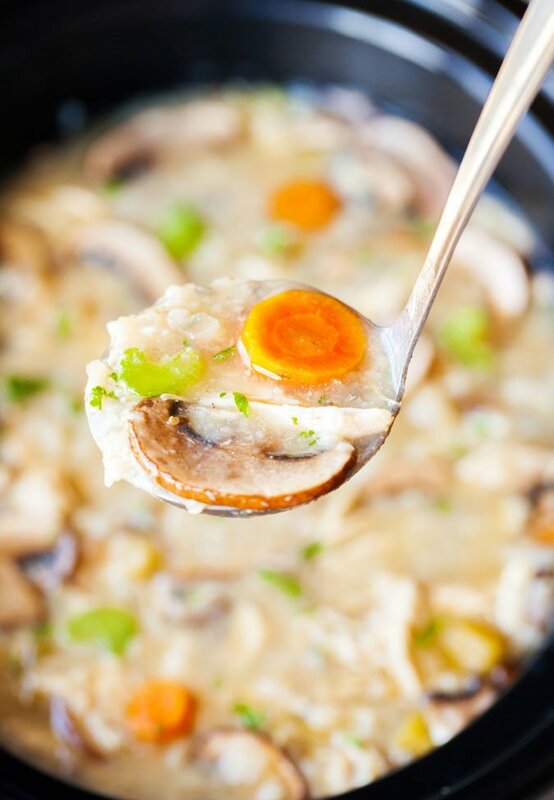 The best part about adding this chicken and rice soup to your meal rotation during these cooler months is for its versatility. Feel free to add autumn goodies like fresh squashes and pumpkin. Let’s not forget that Thanksgiving is coming up. You can totally substitute the chicken breast with leftover turkey from Thanksgiving. Like the rice tip, since the turkey would already be cooked, you would add it at the end of the cooking period. I usually add cooked meats in during the last 15 minutes to 30 minutes of cooking, only to heat it through. 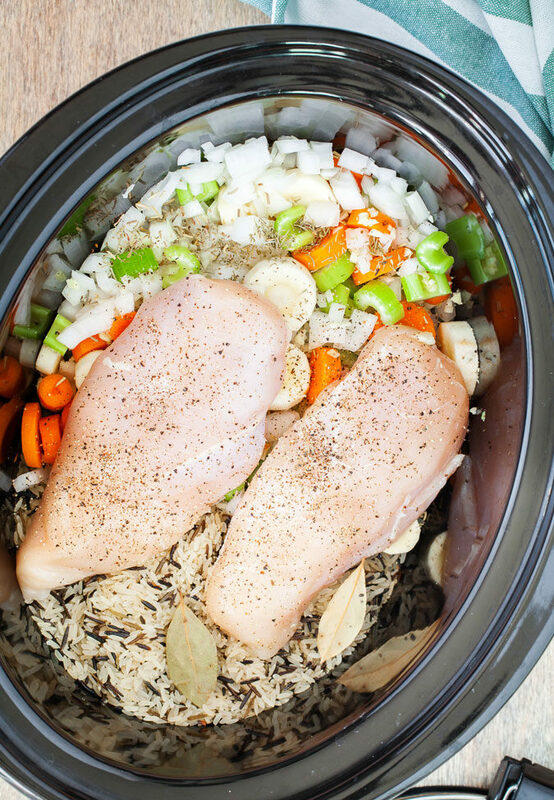 To the bowl of a 6-quart slow cooker, stir together the chicken stock, rice, garlic, onion, carrots, parsnips, celery, thyme, rosemary and bay leaves. Nestle in the chicken breasts. Cover and cook on low for 6 hours. Remove chicken from the slow cooker and shred, using two forks. 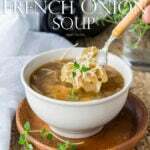 Remove 1/2 cup of the soup broth into a small bowl and whisk in the corn starch until smooth. Stir the corn starch mixture back into the slow cooker, along with the shredded chicken and mushrooms. Cook on low for an additional 30 minutes. Remove the bay leaves and serve immediately, garnished with parsley, if desired. 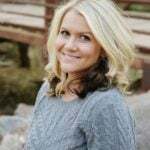 Patty is the content creator at The PKP Way, where she posts recipes for those who enjoy spending time in the kitchen, purposes to be your source for from-scratch home cooking ideas and inspiration, and shares short getaway travel tips and recommendations. 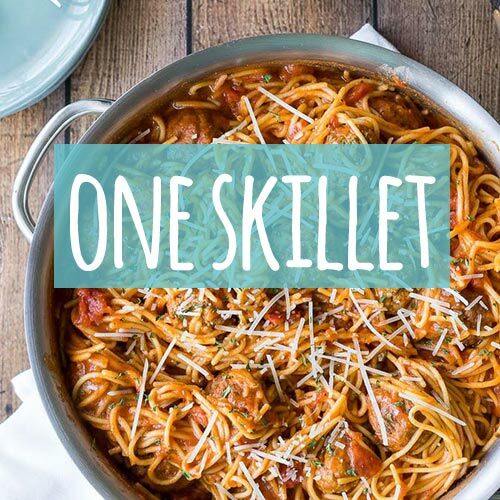 Decent recipe, not overly exciting but I do it for healthy eating and weight loss. No corn starch and I used plain water – no stock or broth. I put in 1.5 Teaspoon of salt and 1/2 teaspoon pepper, as I found taste a little dull/weak. Also put in sweet potato because I enjoy it in my soups and stews. Cooked white rice on the stove, then put into the crock – continued cooking on low for another 45 minutes only, and rice was already going very mushy! Yikes – hard to believe some people left the rice in for 6 hours – holy cow, that must be a gong show ! Strongly recommend doing white rice on the stove, but literally put the cooked rice in right at the end when you are basically un-plugging the crock – 15 minutes tops, trust me. Overall pleased with the soup – will make it again. Bummer. I am disappointed in the recipe. I was in a hurry so didn’t read the other reviews. Should have, should have also followed my instincts that rice doesn’t cook for 6 hours. Yuck. Mushy, mushy ‘soup’. Probably would be good if rice is added later, much later. Sorry you didn’t get great results from this recipe Bridget. 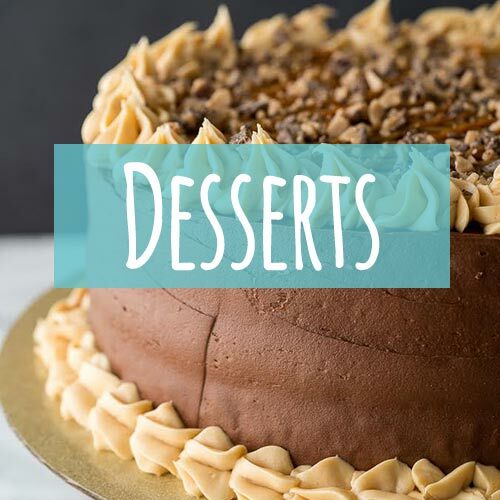 I’ll have to do some extra testing of this recipe as it was a contributor’s recipe. I think you’re right that we can add the rice later. Same thing happened to me. My rice was mush. I now have a huge pot of mush that no one will eat. I now know not to add the rice with the chicken next time. Another rice mush situation – it was tasty, but I’ll definitely throw in some cooked rice at the end instead if I make it again. I used a long grain jasmine rice, if that makes a difference. I wish I would’ve read the comments about the rice turning to mush because the same thing happened to me. Will try again but with cooked rice at the end. How about instead of using a crockpot I want to use my Instapot?? The rice would cook really fast in the Instant Pot. I’m thinking you’ll want to cube the chicken so it’ll cook in about the same amount of time as the rice. Maybe start at 15 minutes at high pressure and see where it’s at? Let me know if you try it! I made this today and it was a disaster. The rice totally disintegrated. Really, really not good. I’m so sorry you didn’t enjoy the recipe Misty. Could it be that it was cooked for too long? Looking forward to trying this! However, I’m not a fan of parsnips. What would be a suitable substitution? Thank you! 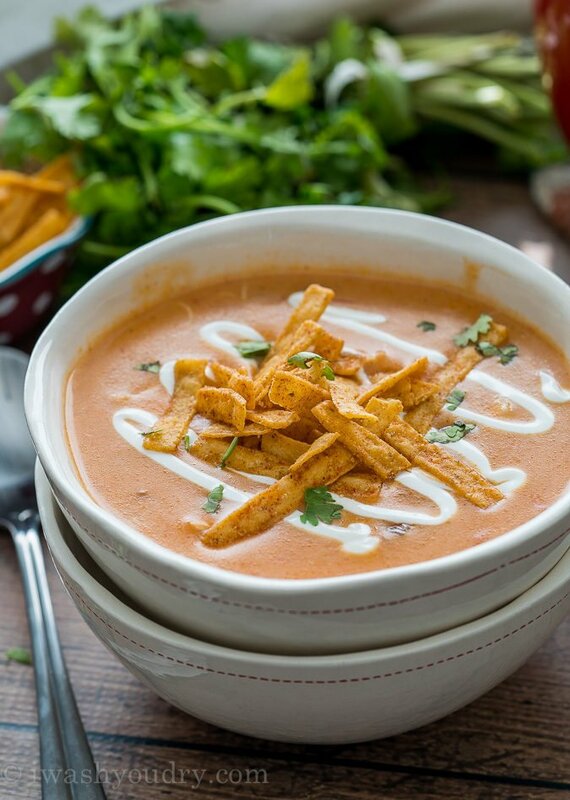 Do you know how you’d do this and your chicken enchilada soup recipe in an instant pot? It looks like you seasoned the chicken breasts. If so, what were the seasonings? I would season with salt and pepper to taste. I used wild rice to prevent having a mushy disaster. But adding cooked rice at the end is also a way to go. I added a 1/4 tspn curry powder, just to add a hint of surprise. From a different recipe that I have often used, I Incorporated using a dry white wine to make the thickening slurry. Don’t substitute for the parsnips. 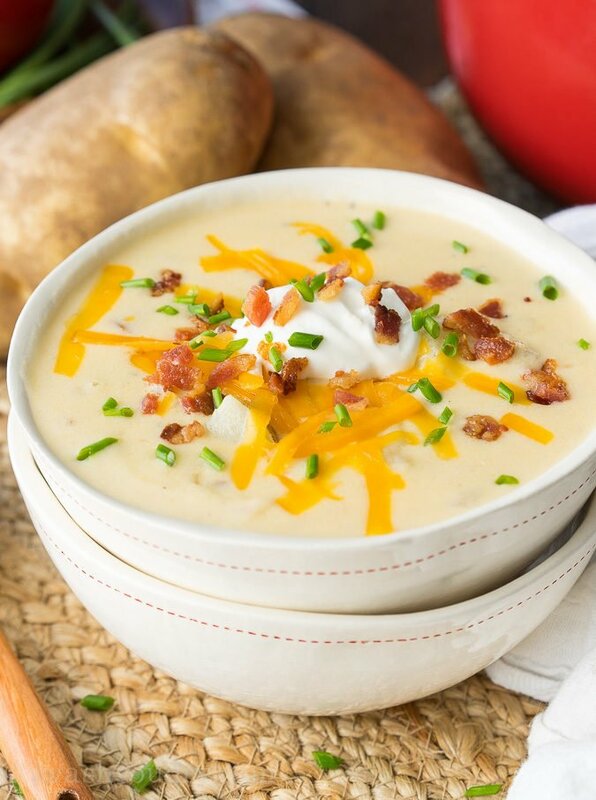 They are a great addition to this soup! Hi, I used the slow cooker function on the instant pot…the vegetables are very undercooked. At 6 hours I was shredding pink chicken. The rice is still a bit crunchy in places too. I see now that the recipe is for a slow cooker… I guess the instant pot slow cooker function is not the same? What can I do using the instant pot to save this? Sounds like you had a slow cooker malfunction there. If you wanted to make this with the pressure cooking function I would start by adding all the ingredients (minus the mushrooms and cornstarch) and cook on Manual HIGH pressure for 30 minutes. Quick release, shred chicken and turn to saute function. Add the cornstarch slurry and mushrooms back in and cook until slightly thickened. Hope that works for ya! This looks like a winner. Anxious to give it a try but with left over turkey, Do you think that would work? Yes! But I would wait till the end to stir in the cooked turkey. Hope you enjoy it! Sounds like a great recipe. I will be trying it soon. 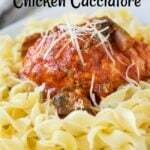 How would this recipe work with chicken thighs? I’m sure it would be fantastic! Use boneless, skinless chicken thighs. Can’t wait to try this! I love how simple it is to make! Thank you!